Honey therapy – what, why, when? For many people there is no difference, because both contain manipulation of the muscles to enhance the health. 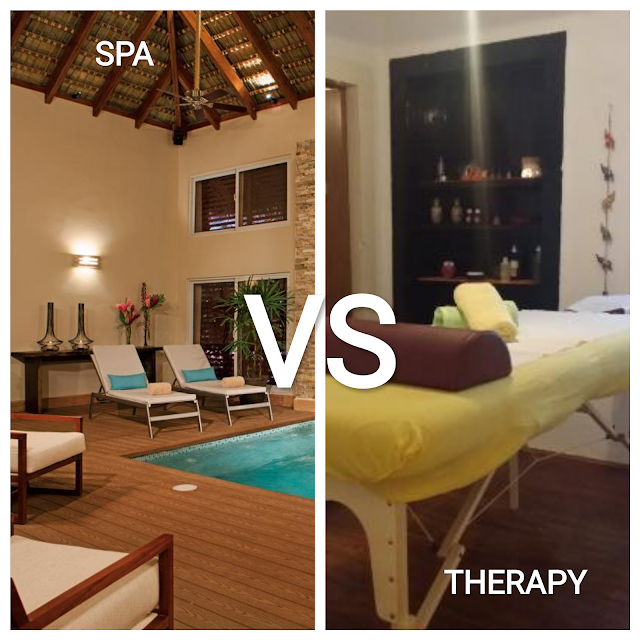 Spa centers are more relaxing, there is a calming music and has scented air. The interior is designed to give you relaxation and tranquility. The massage studios are more simplified and minimalistic as design. The massage is performed only to achieve better health. In the spa the massage is focused on relaxation and comfort. Spa uses different treatments as water treatments, beauty scrubs, peelings etc. The massage therapy is for rehabilitation, solving tension, pain, knots and stiffness. It improves the posture. Spa procedures usually are very expensive, a luxury gift. The massage therapy being a kind of health service is with more or less standard low price. The people performing massages in a spa are trained to offer comfort and relaxation. When the blood and lymph circulation is low the oxygen in the body is low as well and this reduces the collagen production. The skin loses its elasticity and the fat cells enlarge and the skin makes more visible deposits. As the fat under the skin shows up through the weakened tissue the result is cellulite. Eating too much fat, carbohydrates and salt and too less fibers, this who don't exercise, smoke and sit or stand in one position for a long time, wearing right elastic underwear and clothes across the buttocks limit the blood flow. Anti-cellulite massage is the best way to reduce the appearance of visible cellulite. It has many health benefits for the body. For reducing the cellulite the best practise is 15 to 20 massages in a row for 15 or 20 days. For keeping the result once per week for a month or two. Afterwards once or twice a month.